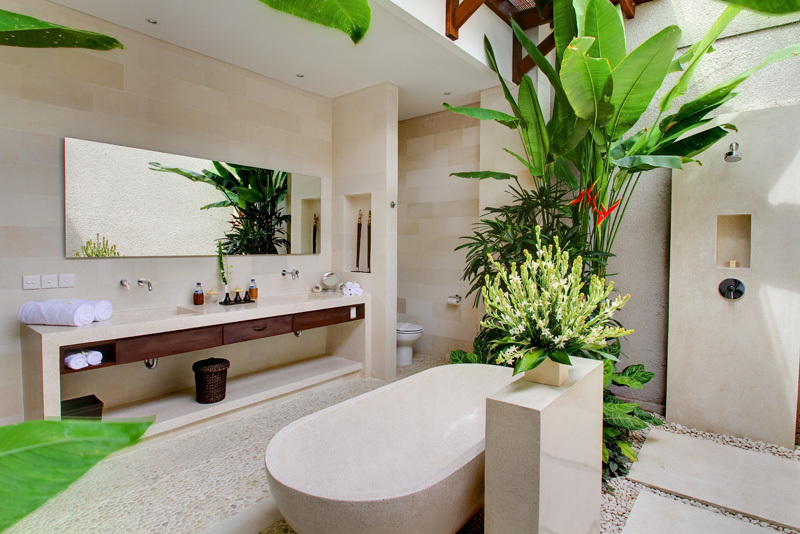 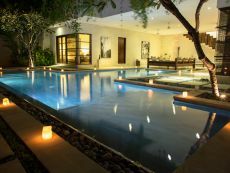 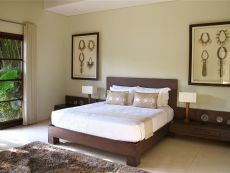 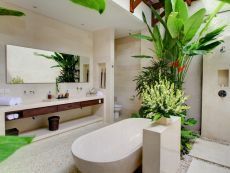 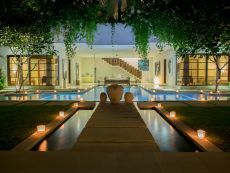 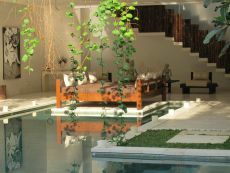 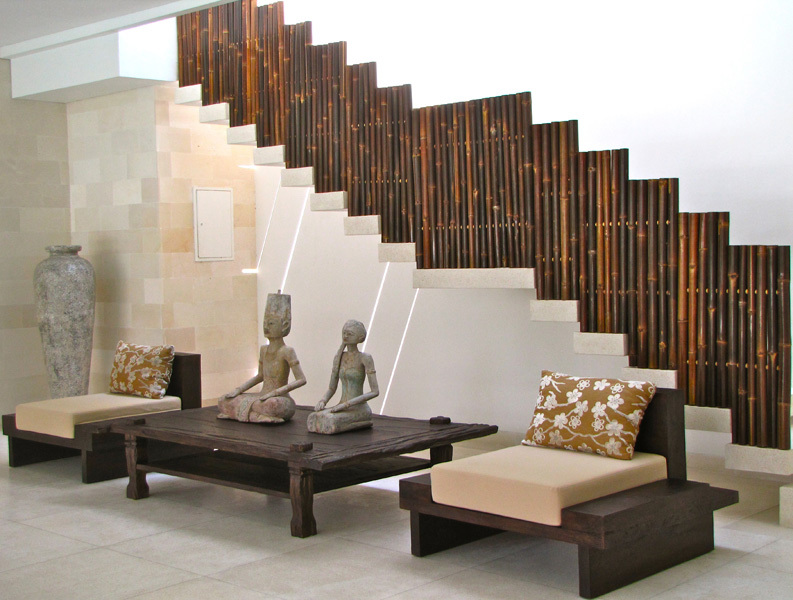 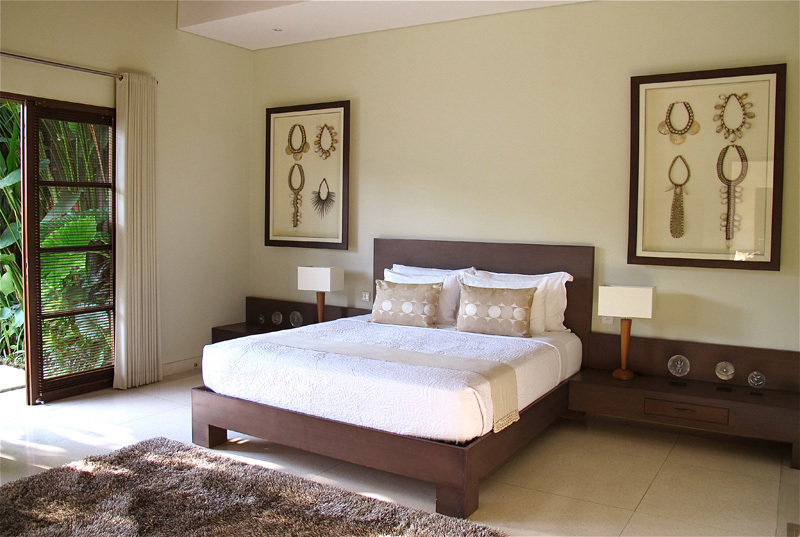 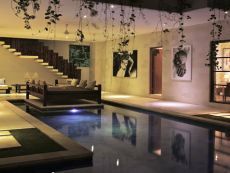 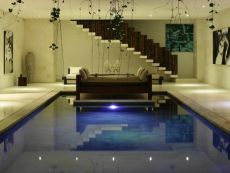 4 bedrooms of Nyaman Villas Bali in the center of Seminyak, Bali. 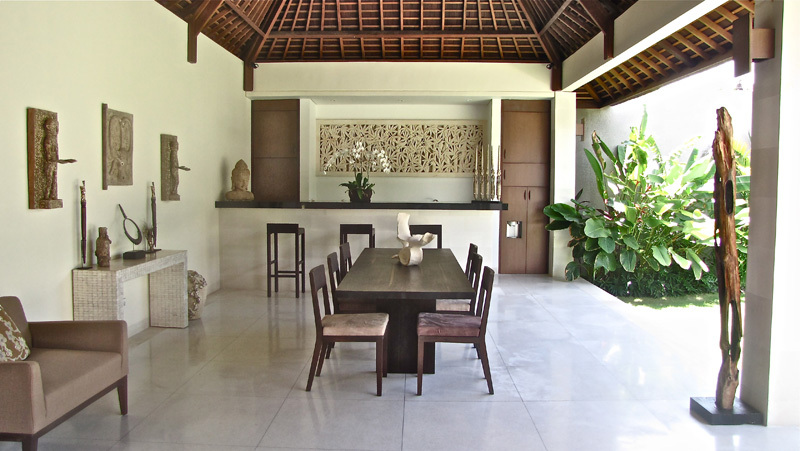 From the centre of Seminyak, a residential road bordered by palm trees leads out towards the residential district from the famous Oberoi Hotel. 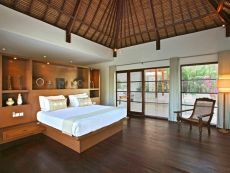 In this privileged setting one passes a guardhouse and then enter into a wooded driveway leading to these gorgeous Bali villas for rent. 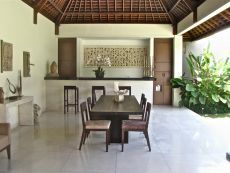 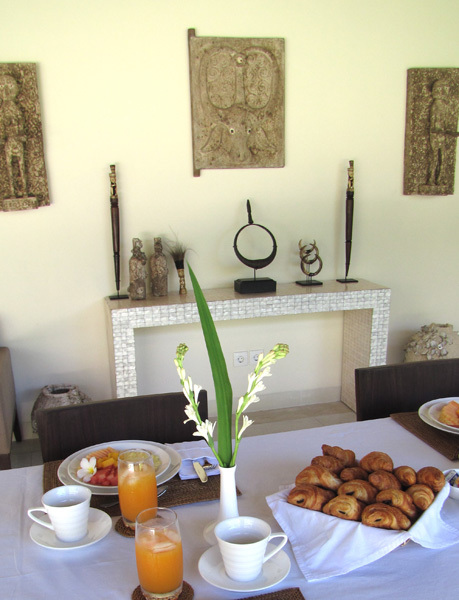 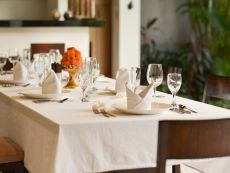 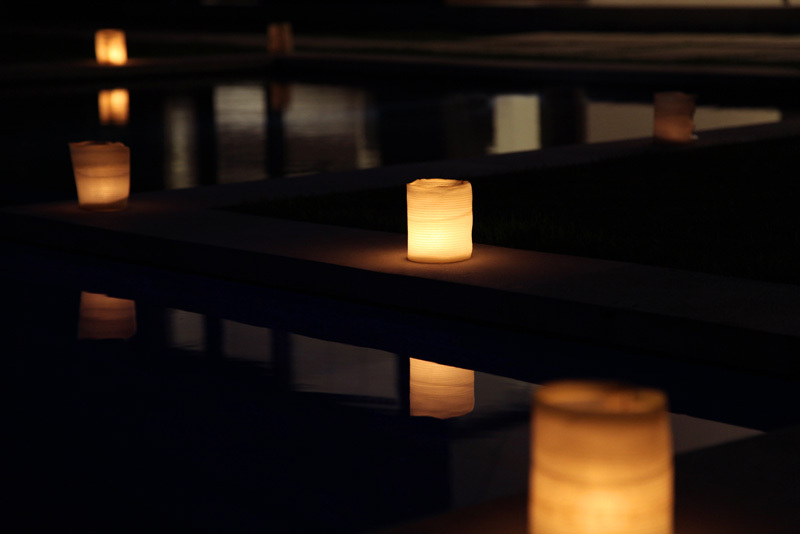 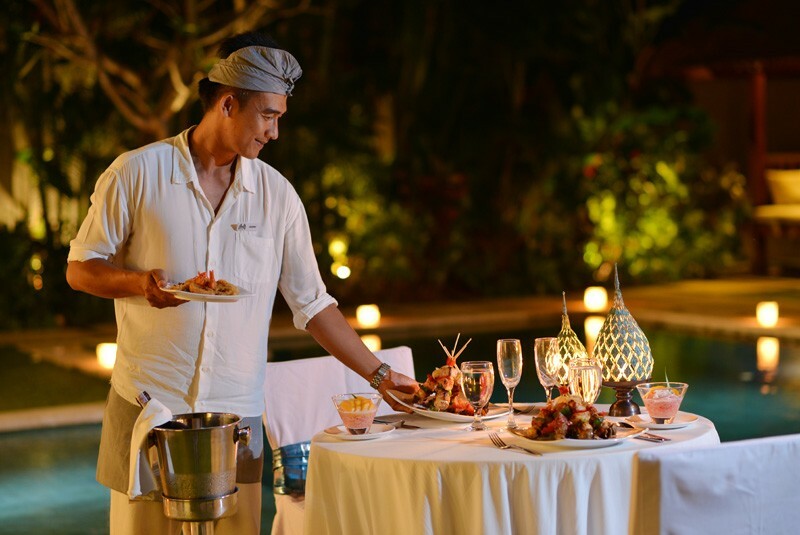 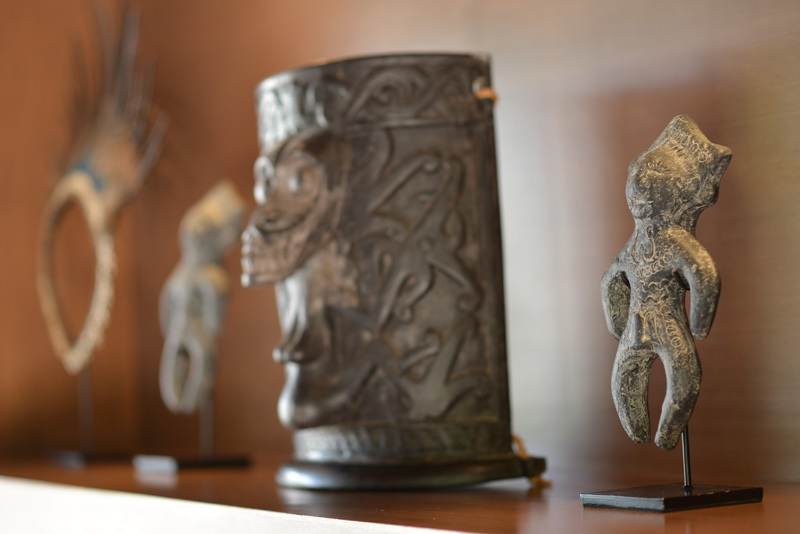 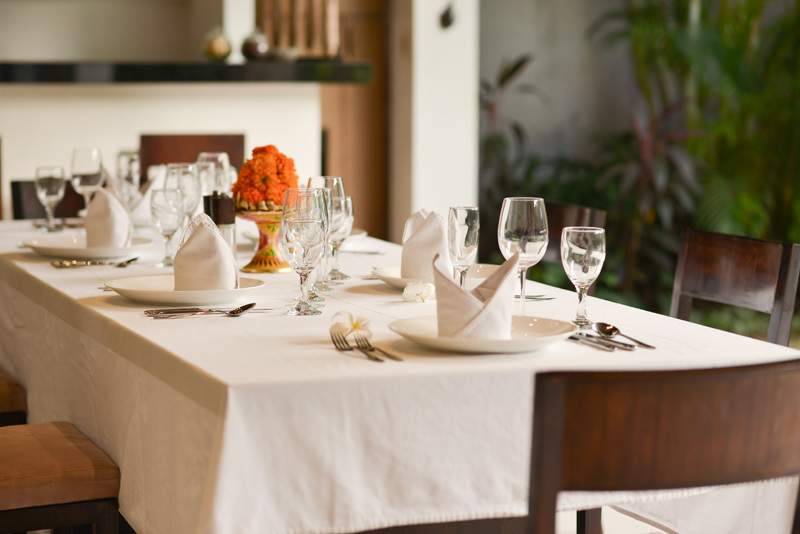 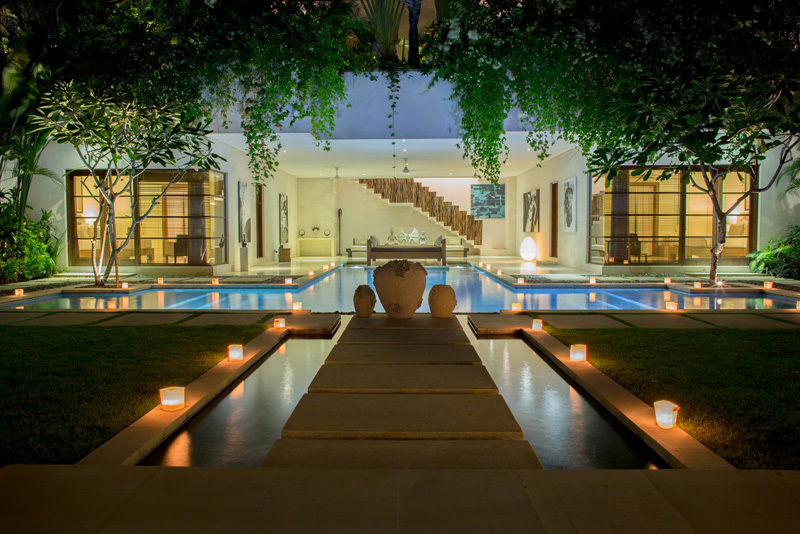 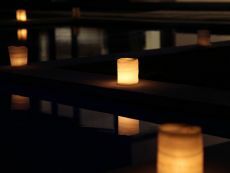 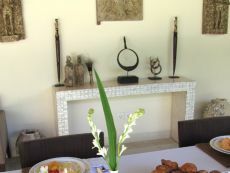 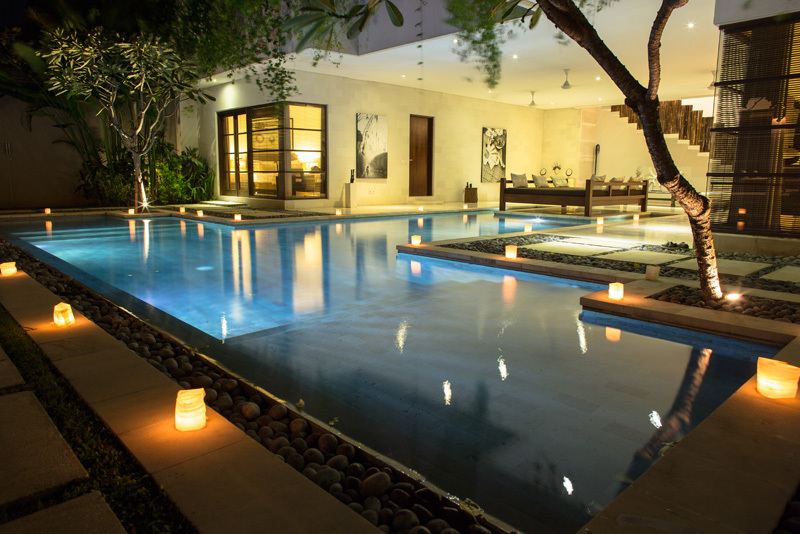 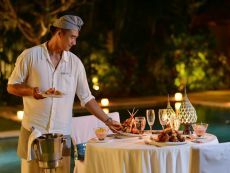 The central feature of these Bali villas for rent is an open-air lobby, and on the right side of the lobby a wide pathway, elegantly lit at night, takes the guest to the villas. 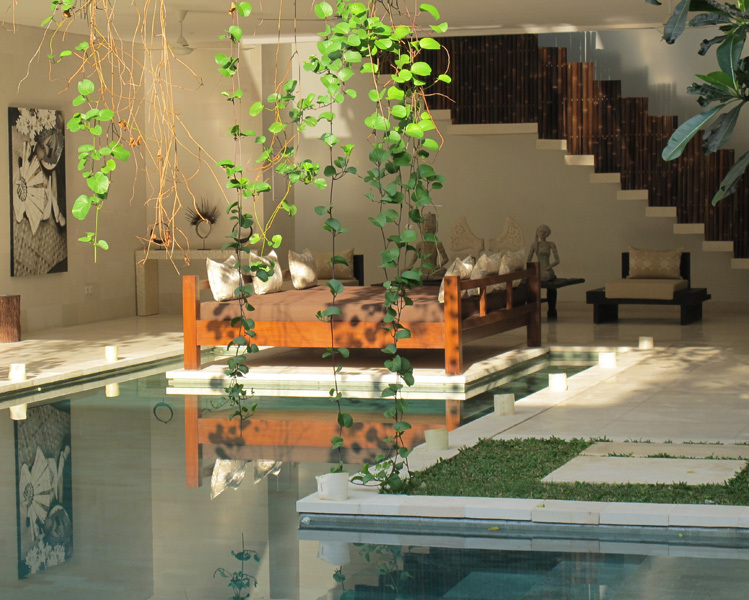 These Bali Villas are located within 200 m from well known restaurants and fashion boutiques of Bali, only 400 m from the sea and about 300 m from the well known KuDeTa.